The beloved busker shares details about the injury that's sidelined him for the season. By Jacqueline Cain·	 5/15/2018, 7:25 p.m.
One of the great delights of summer in Boston (or any season, really) is ascending from the depths of a T station to hear the dulcet tones of Keytar Bear jamming above. Whether he’s playing Michael Jackson, Prince, or something else fun and danceable, our funky spirit animal is something of a great equalizer, bringing delight to an otherwise joyless commute. 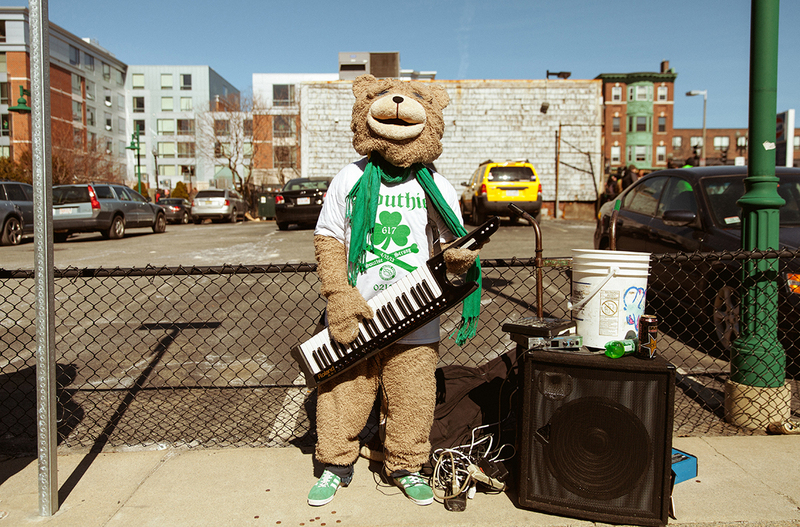 But this summer, fellow Bostonians, will be Keytar Bear-less. The street performer expects he’ll be sidelined at least until August or September. 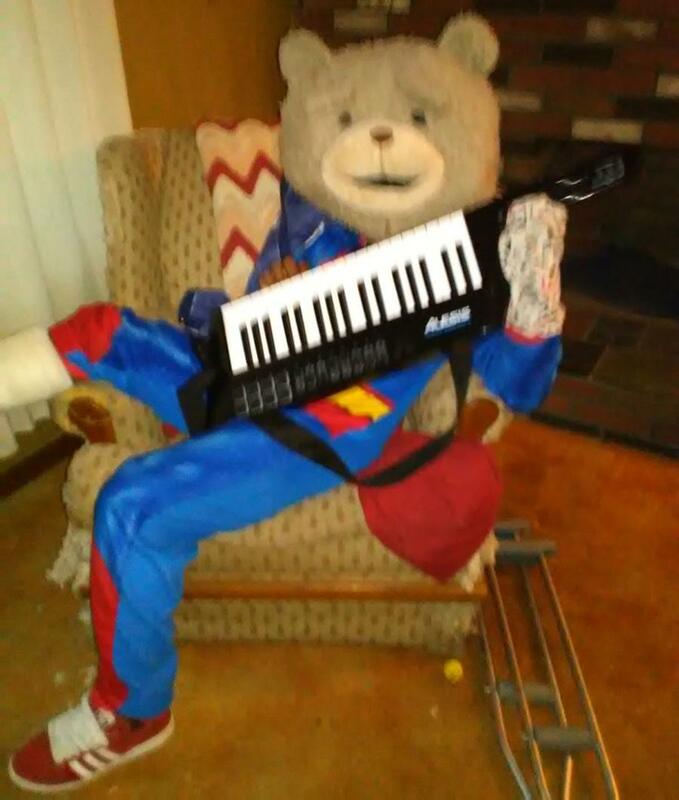 Keytar Bear canceled a gig booked tonight with the Greater Boston Chamber of Commerce because of injury, the Boston Globe and other outlets reported. After the story started circulating about “a broken foot,” Keytar Bear called me to share more details. “It sounds like a silly story. A bear, who broke his foot,” he says. Instead, he tells us, it was a pretty serious motorcycle accident on Route 146 that caused Keytar Bear to break his right ankle and another bone in that foot. He also reports injuries to his kneecap, right shoulder, and three broken fingers on his right hand—unfortunately, that’s the paw he uses to tickle the ivories on his keytar. “Usually, when it’s nice out, I’ll go into Boston disguised as a black guy on a motorcycle,” Keytar Bear explains. He was doing just that on the afternoon of April 26, his bike loaded up with his signature keytar, mask, and gloves. As he was rounding a corner in the road, he says, his bike slipped on a patch of sand leftover from the winter. Keytar Bear wants to make one thing clear: He shares his story not for sympathy, nor to announce another GoFundMe—the bear has insurance through MassHealth, he says—but to tell fellow motorcycle riders to use caution. He also wants to tell fans that he won’t be out and about in the near future. Take care of yourself, Keytar Bear, and we look forward to seeing you back out there.